This year’s best computers didn’t try anything new. They were building on a foundation of years past. The Dell XPS 13 isn’t the best 13-inch notebook available today because it presents some sort of radical notion of what a laptop is or could be. In fact, it does exactly what laptops have done pretty much since their inception. The XPS 13 just does it better. Technology moves rapidly. It’s expected that when a new device launches, we’ll see the successor within the following year — a newer, better, sleeker, lighter, more powerful version of the first by the time the Earth orbits around the sun. It’s an incredibly demanding process. Refining a product is arguably even more intensive than conceiving it if only because it requires precise attention to customer feedback rather than a preordained assumption of what consumers want. That’s why, in 2016, we can expect to say goodbye to some of the pervasive criticisms that have long haunted the 2-in-1 laptop. When Microsoft unveiled its Surface Book back in October, I was immediately awestruck. A 14-inch laptop with the versatility of a tablet and performance exceeding some desktops, it was the future of computing. Then I tried one, and it was not quite what I’d hoped for. I could accomplish more with this one device — a single Surface Book unit — than with a MacBook Pro, but something was clearly missing: style. The Surface Book’s ability to shape-shift and become a tablet just as easily as a drawing utility or a standard notebook is an undeniably useful power, don’t get me wrong. It’s just disappointing that Microsoft has to take so many visible shortcuts to make that possible. Next year, however, I may very well see the Surface Book of my dreams — and with it, a sizable quantity of modest-priced imitations from Microsoft’s OEMs. If 2015 was A New Hope for PC 2-in-1s, 2016 is going to be The Empire Strikes Back. One objection convertible notebooks have managed to deflect recently is that they simply can’t pack enough power while also retaining portability. What was once truth has now managed to become a rhetorical inconsistency. The iPad Pro, for instance, is about as powerful as the MacBook, and still boasts an hour more battery life. The Surface Pro 4, meanwhile, scored extremely well in our benchmarks despite its thin frame and reasonable endurance. The release of Windows 10 earlier this year finally presented an OS that lives up to the 2-in-1’s capabilities. We’ve now reached the point where manufacturers can fit not only mobile processors like Apple’s A9x chip into the latest 2-in-1s but even Intel’s latest and greatest dual-core chips, without making major concessions in size, battery life, or performance — or all three. That’s an impressive feat, and users will notice. 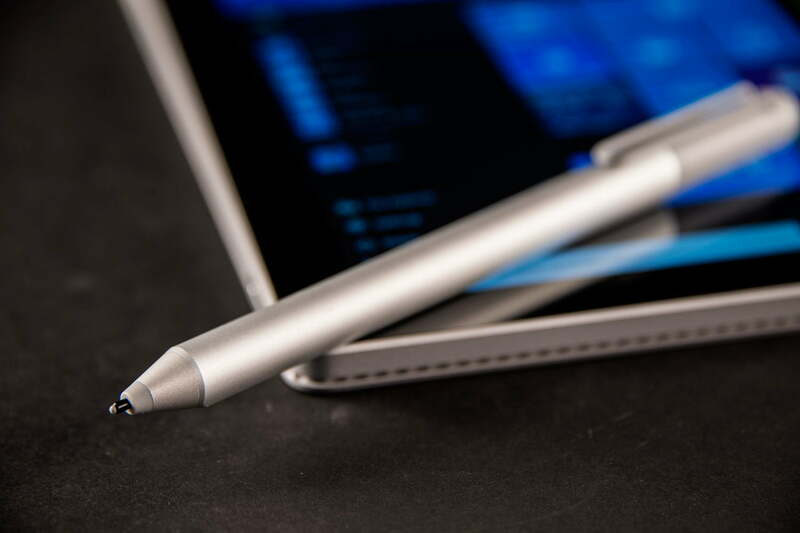 The original Surface Pro is the perfect example. Released in 2013, the original device was half an inch thick and weighed two pounds. A modern Surface Pro 4 is only three-tenths of an inch thick and weighs 1.6 pounds, despite a screen increase from 10.6 to 12.3 inches. Shrinking the profile and weight is important. Weight is negotiable for a laptop. A few extra ounces can be hard to notice. A tablet, however, must be as light as possible. Early 2-in-1s were too heavy, but the new models have more manageable dimensions. The release of Windows 10 earlier this year finally presented an operating system that lives up to the 2-in-1’s capabilities. Windows 10 took the philosophies of Windows 8.1 and streamlined them for fans of classic renditions of the OS. As a result, Windows 10 is now more suited for implementation across a wider range of computing devices than any other operating system in history. And devices that don’t use Windows, such as the iPad Pro, are finally getting the software support they’ve longed for from companies like Adobe. While iOS still lacks the premium creative software found in both OS X and Windows, it’s come a long way from the shell of a mobile operating system it once was. Creative Cloud applications like Adobe Comp and Photoshop Fix allow non-Windows convertibles the liberty of accomplishing professional tasks from the palm of your hand. But while licensing deals with third-party software developers is a major step forward for 2-in-1 laptop solutions, they still have some room to improve when used in isolation. That’s because, while there are a ton of new apps for creative professionals and hobbyists, almost all of them — at least from Adobe — demand that you also own a Creative Cloud-toting PC to access complete sets of features. Lets hope that next year’s models take a step towards independence, negating the need for a secondary work-specific PC. The 2-in-1 notebook is designed to solve a number of problems that shouldn’t still exist. It’s supposed to be the everything device, the PC that just does. And while some of them have accomplished that, they frequently lack the elegance and design charm we’ve come to expect from virtually everything else in our day to day lives. In reality, this is only the first year we’ve seen substantially different entries from both Microsoft and Apple, debatably the two leading competitors in this race. Give them both another year, another generation to improve, and only then will 2-in-1s become as commonplace as the iPad on your nightstand. No, the 2-in-1 is not a new concept. But that’s exactly why 2016 could be its time to shine. The kinks are being worked out, the designs are being refined, and the result will be devices that finally fill the lofty promise of a tablet’s convenience paired with a PC’s productivity.